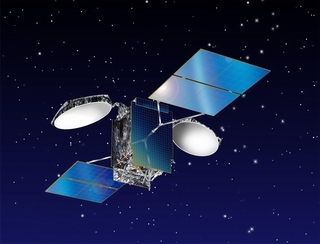 VietNamNet Bridge – It is now not early to say that Vietnam has been successfully launching and controlling Vinasat 1, the first Vietnam’s telecom satellite which was launched into the space three years ago, on April 19, 2008. In the past, before Vinasat 1 was launched into the space, Vietnam had to spend huge sums of money every year to lease foreign satellites. With Vinasat 1, Vietnam now can save 15 million dollars per annum; or 45 million dollars in the last three years. According to Singaporean Websatmedia, Vinasat 1 is one of the satellites which have the best quality in the region. Le Van Khuong, Deputy General Director of the Vietnam Multimedia Corporation (VTC), said that the transmission signal quality through Vinasat 1 is better than other satellites in the region, because Vinasat 1 has a very large coverage. With Vinasat 1, VTC has been successfully providing high-fidelity and standard-fidelity television services, serving the transmission to terrestrial TV stations across the Vietnamese territory and the direct signal receiving of households. With the transmission capacity equal to 10,000 voice channels/Internet/data communication or 120 TV channels, Vinsat 1 will help Vietnam soon fulfill the plan to bring telecommunication, Internet and television services to all remote areas, mountains and islands, where other transmission modes cannot reach. Khuong from VTC, a big client of Vinasat 1, said that the coverage of Vinasat 1 has been designed to fit Vietnamese households and territory, the thing that foreign satellites cannot provide. Just several days after Vinasat 1 officially became operational, VTC successfully broadcasted to the islands of Truong Sa archipelago. “We have sold more than 80 percent of the capacity of Vinasat 1, which is really an encouraging result, because this shows the high quality of the services and the prestige of Vinasat 1,” Khanh said. Televisions VTV, VTC, VOV, HTV, oil and gas companies, telecom companies are the well known domestic clients of Vinasat 1. Besides, the satellite also has foreign clients, namely Thaicom, Lao Telecom or Singaporean WebsatMedia. The representative from VTI has affirmed that all the waveband left will be soon filled in in two years. Khanh said, that in order to gain such an achievement, VTI has been well supervising the quality of the services provided to clients and doing the customer care. Especially, VTI now has good qualified technicians who can master the high technology to operate Vinasat 1. In order to officially become the “pilots” of Vinasat 1, the engineers had to attend two training courses with strict requirements in the US and Luxembourg, and a lot of other practice courses before Vinasat 1 officially became operational. The experts from Lockheed Martin said, one year after Vinasat 1 was launched into space, that Vietnamese engineers are very clever and that Lockheed Martin’s experts only give technical support in necessary cases, while daily operation has been undertaken by Vietnamese engineers.